This course structure is slightly different from overseas class due to availability of ingredients or tools. Thus, we design it differently and special for students who travel all the way to Malaysia for class. 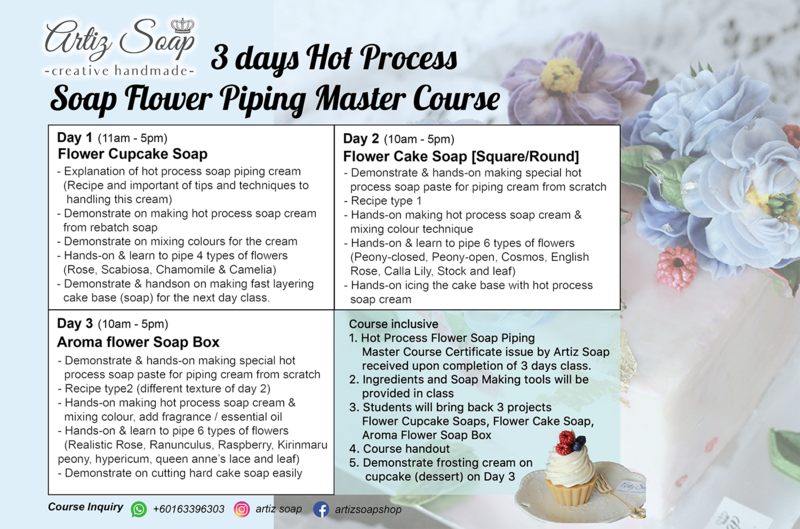 This is a soap making course that uses hot process soap to pipe flowers. 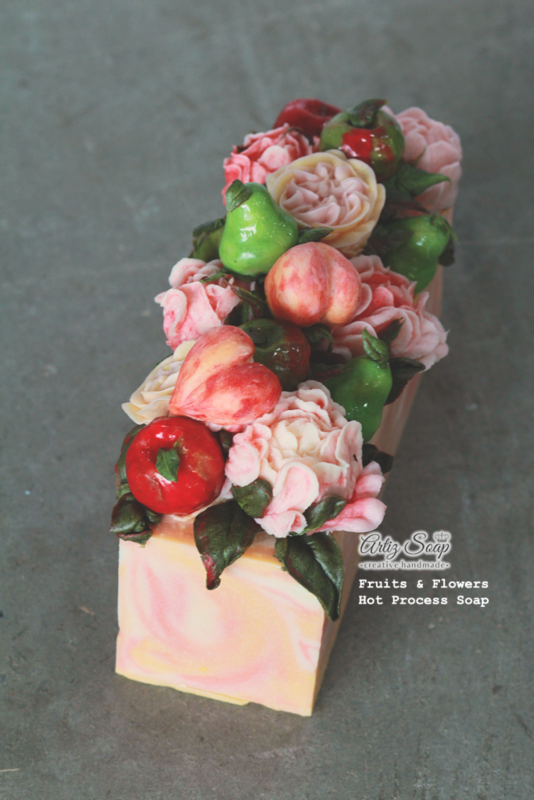 Its a new technique to make the hot process soap paste specially for piping flowers. 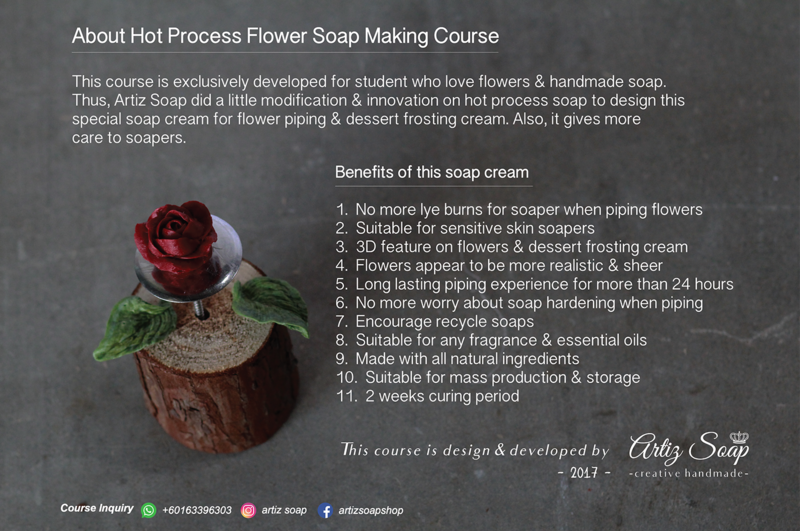 The curriculum of the course is towards art & creative where students can apply this skills and knowledge to their daily soap making with more interesting elements. 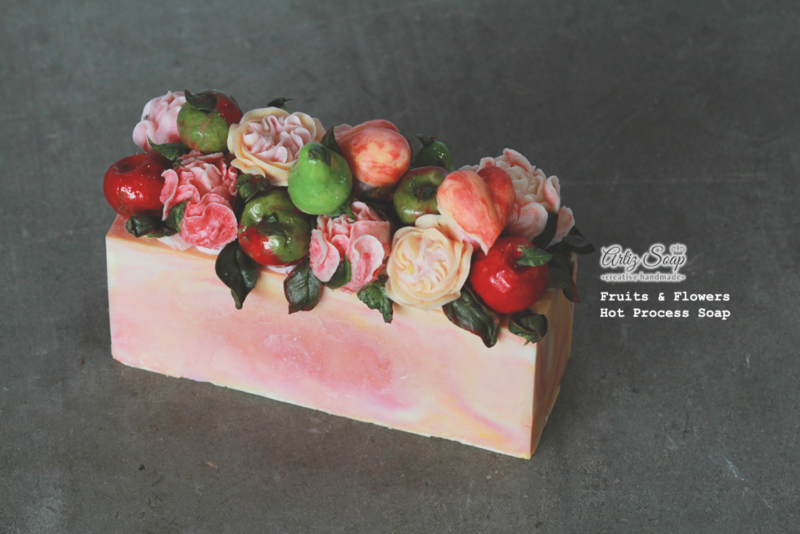 Hot process soaps cream can creates more realistic & rustic look to flowers & even to desserts soaps. 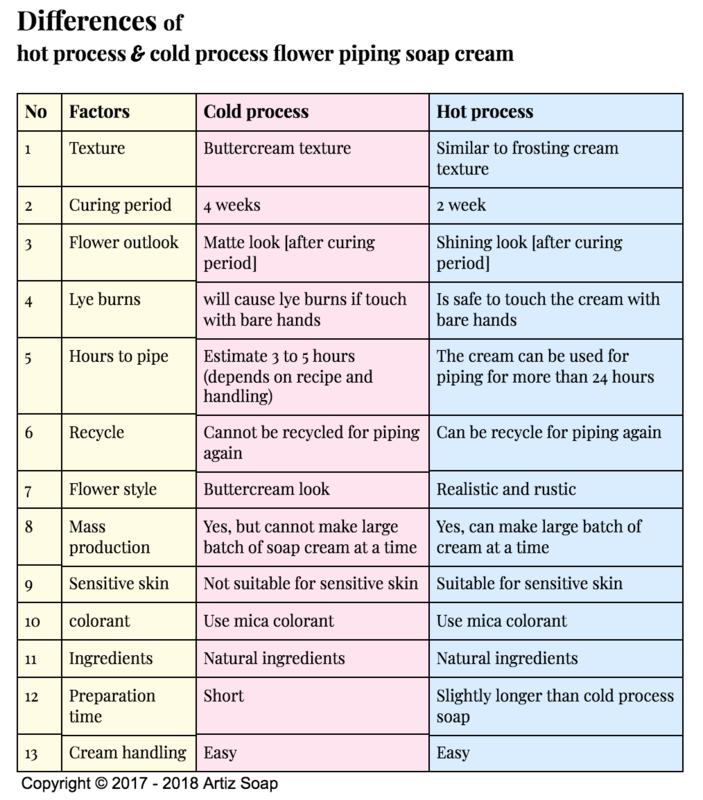 Refer table below for more interesting features of hot process soap soap cream for piping flowers. Moreover, the soap cream is made using all natural ingredients.